Continuing Education (CE) is the most effective method for a manufacturer to get the most time in front of design professionals. Nearly all architects, engineers, and interior designers need multiple CE credit hours every year for both their professional license retention and respective trade organizational memberships, such as the American Institute of Architects (AIA). Reach your target audience by offering an AIA Continuing Education HSW (Health, Safety, and Welfare) course with a team of RBA professionals including architects, marketing and graphic design consultants and A/E curriculum experts. Ron Blank & Associates, Inc., a two-time AIA Award for Excellence winner, will coordinate with your product technical expert to develop and register your course with the AIA. Through multiple platforms, your CE course will reach thousands of participants a year. Educate design professionals about your new product technology today and get specified tomorrow! The continuing education course you sponsor is a powerful marketing tool. Web based and live, instructor-led courses give your company access to the design professionals who can specify your products. Providing continuing education gives you an opportunity to develop a competitive advantage by demonstrating your product expertise, industry leadership, and technical advantages. Due to the broad range of technologies and products involved in any project, architects and designers must be generalists. They do not have the time to develop the in-depth knowledge that manufacturers possess. By becoming their industry expert you develop valuable relationships with design professionals, a resource to call on when they need assistance with your product type. The best vehicle to reach the broadest range of design professionals is through our course hosting service at www.RonBlank.com provided by Ron Blank & Associates, Inc. With nearly 100 courses available across all major CSI divisions, there is a continuous stream of design professionals participating in RBA CE. 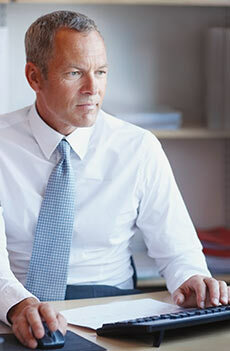 Ron Blank & Associates, Inc. and affiliates, currently award over 100,000 credits both live and online annually. 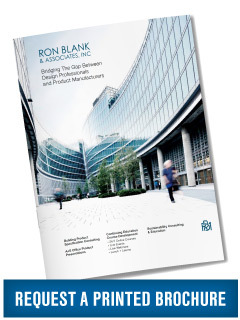 Ron Blank & Associates, Inc. has helped hundreds of building product manufacturers in their efforts to build relationships with design professionals. Our programs increase brand name recognition, generate specification leads, and ultimately aim to have your products incorporated into multiple Master Specifications. RBA develops customized programs for your company, whether you are budget conscious or engaged in a comprehensive approach. As with most clients who participate in multiple programs, a synergy occurs through a multi-faceted approach, enabling you to reach your specification goals quickly and efficiently. Webinars are one of the most cost and time efficient methods of delivering continuing education and product knowledge about your building products to design professionals. We have a dedicated team to our webinar programs who can guide you through to a successful webinar event and help you reach an average of between 100-300 architects, engineers, interior designers and other related professionals in a one hour live, online session. The result is a very detailed list of information about those who attended your webinar continuing education course, so you can follow up with questions they have and earn their trust as a product expert in your field.